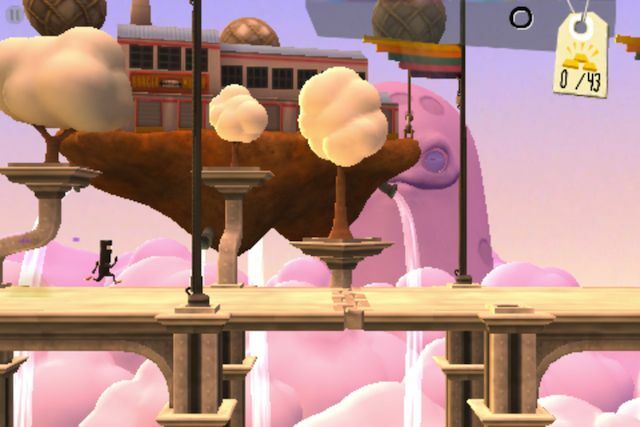 Developer Gaijin Games’ Bit.Trip Presents Runner 2: Future Legend of Rhythm Alien quickly became one of my favorite games this year when it launched for consoles and PC back in February. It had a lot of personality, precise gameplay, and was just challenging enough to keep you on your toes but not enough to be frustrating. The iOS port, Bit.Trip Run!, keeps the original’s levels, fantastic graphics, and entertaining narration from voice actor Charles Martinet (the voice of Nintendo’s Mario). So it’s mostly the same game. But it drops the necessarily accurate button controls in favor of taps and swipes for the mobile platform, and that really cuts the game down a few notches. I’d almost say that it makes it unplayable, but that’s not quite the case. But it does take a great deal of patience to play well. The game reminds you of its controls on every load screen, as if the dumb mistakes you’re about to make are faults of memory. Bit.Trip Run! is a rhythm game disguised as a runner. You control hero Commander Video as he sprints incessantly through a variety of charming worlds and encounters enemies and obstacles he must jump over, slide under, kick, or block, all the while picking up gold and items to maximize your score. All of this happens in time to the music playing over the game; listening closely to the tune and picking out the beat will actually help you play better. Run! differs from the console version in a few ways. 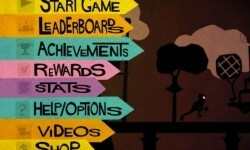 The roundabout obstacle that in the earlier version required players to turn their analog sticks in time with the wheel doesn’t demand that anymore, and the key-and-chest collectibles are gone; in their place are large, floating buttons that you tap to earn bonus points. 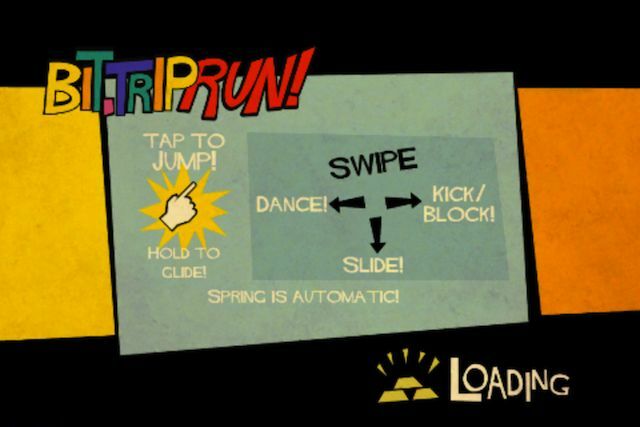 A better change is that thanks to springboards, climbing stairs is now automatic instead of the game asking you to make four or five precise jumps in a row. And since stairs are my Runner 2 Kryptonite, I’m pretty much fine with that. A great game is in there somewhere. Still, the biggest change — the controls — is the most damaging. I can’t tell you how many times I meant to slide (swipe down), and Commander Video jumped, instead, or vice versa. It was frustrating. It led to me having to replay sections over and over because Run!, like every other game, doesn’t care what you “meant” to do. It’s disappointing that one of the best games I played this year hasn’t survived its transition to mobile, but Runner 2 by its nature requires the accuracy and precision of buttons, and the touch controls of Run! just don’t have either of those things. It’s really too bad because a great game is in there somewhere. This one will get you by if you don’t have access to the console/PC version, but if you do, it’s hard to recommend. The Good: Great art and personality, and some welcome changes from the earlier version. Stupid stairs, anyway. The Bad: Touch controls aren’t precise enough to play well. The Verdict If you have the patience, you’ll find it charming.